La nostra specializzazione è la produzione di Abbigliamento Danza Classica, ma realizziamo anche capi per altri stili di ballo. Qui troverai un ampio catalogo di Body Danza Bambina, Adulta e Fashion, Abiti, Costumi Danza, Tute, Gonnellini, Gonne e Divise per Danza classica e moderna, anche da uomo, da realizzare appositamente secondo i desideri del cliente. Il nostro Abbigliamento Danza Classica viene prodotto in Italia da personale altamente specializzato. Abbigliamento There are 208 products. You have to buy the uniforms for the new academic year, and you need to buy Children's Dance Leotards in a different pattern among those ready for delivery? But you need urgently, and if possible cheaper. Do not Panic ... You're in the right place. 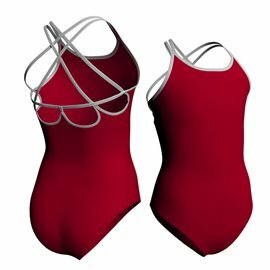 We have selected about 30 kinds of Children's Dance Leotards; you can choose the color and material among those available. Some examples: Camisole Ballet Leotard, Short Sleeve, Skirted Leotards etc. .. All designed for children and definitely cheap. Do you need uniforms for the new academic season, and you need to buy Leotards for Ballet? 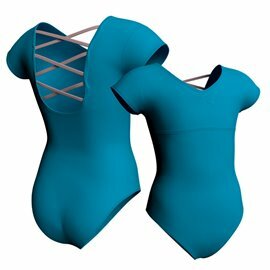 In this category, you have a choice of 50 patterns of Adult Dance Leotards for Ballet; you can customise your uniform choosing from more than 30 colours. 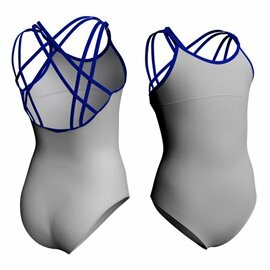 A huge selection of high-quality Adult Dance Leotards for ballet and contemporary dance in a variety of designs and colours! We have camisole, short sleeved, tank, polo neck and long sleeved leotards available for all qualifying purchases and super-fast dispatch! 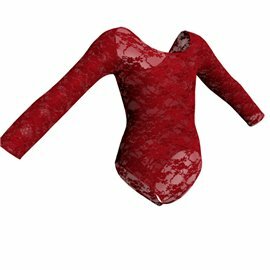 A huge selection of Women's Dance Leotards and Performance Ballet Leotards high quality ballet and contemporary dance in a wide variety of designs and colors. In this category you can find Women's Dance Leotards for regular school uniforms with long sleeves, cap sleeves and ballet leotards with skirt. 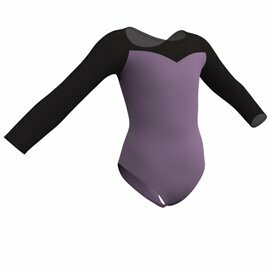 The Performance Ballet Leotard collection includes beautiful colours, unique designs, the high performance materials are designed to keep you comfortable and dry throughout performances, look great under stage lighting, and ensure you have the support and freedom of movement as in a basic leotard. Make sure you get one of these beautiful eye catching leotards! Welcome to our page dedicated to Dance Skirts. 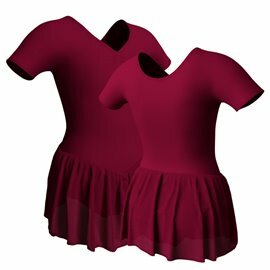 We have selected a wide variety of Dance Skirts for Children's, Girls and Womens in order to satisfy any requirement of the study of ballet, dance competitions and shows. 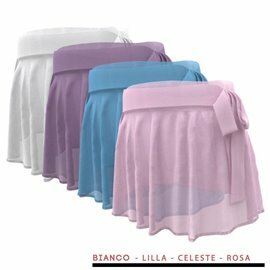 You can choose from a wide range of colors and fabrics (Chiffon, Lycra, Organza). All productions of the Skirts and Ballet Skirts are made exclusively in Italy. Furthermore, with a minimum purchase of € 199.00, for the products ready to delivery, the shipping is free. 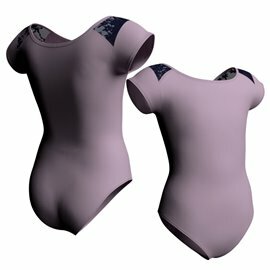 A wide range of Dance Unitards for ballet and neo-classical dance including contemporary dance, in a rich variety of patterns and colours. 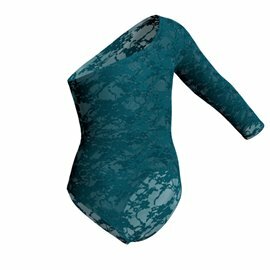 This category includes Catsuits and Unitards for Women and Children in Lace, mesh Unitards, long sleeves Unitards, short sleeves and camisole unitards ... and lots of other styles. Free shipping from € 199 for all productions of products tailor-made. Section dedicated to Urban Dance Tops for Women and Children in a wide variety of patterns and colours. This category includes, One Shoulder Tops, Camisole, Short Sleeves, Sleeveless Dance Tops Shorts, and much more ... Our Dance Tops and Shorts are produced in Italy with Fast and Free Dispatch from € 199. In this page we have included all the Modern Dance Dresses currently in the catalog. In particular, here you will find a careful selection of Dance Pants and leggings for Women and Kids. If you are looking for Cheap Jazz dancewear for your lessons or dance shows , you're in the proper place. Remember to register in order to get discounts and free shipping. Choose from our wide selection of Ballet Warm Up Clothes for dance. Our range include knitted shorts and crop tops, leggings, cardigans, shrug, ankle warmers, leg warmers and teacher uniforms, high quality to keep dancers warm and in super comfort. We maintain huge stocks of Ballet Warm Up Clothes, so we can deliver your orders as quickly as possible. Large selection of Mens Dancewear and Boys Ballet Clothes. Here you'll find, Unitards, T-Shirts, Shorts, Leotards, Dance Belts and Costumes. If you are looking for Accessories and Boys Ballet Clothes for your ballet classes view our selection immediately. We stock a full range of Boys and Mens Dancewear items, from the humble dance belt & boy's dance shorts through to men’s leotards, unitards & ballet tights. Remember to sign up to take advantage of discounts on apparel, loyalty points and free dispatch. 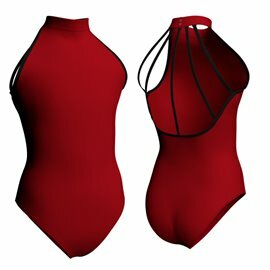 Here you can find a wide selection of Flamenco Dresses Skirts and Costumes: our Flamenco clothing line includes Flamenco Manton, Flamenco Skirts, Flamenco Leotards, Spanish Flamenco Dresses and accessories. We have selected the dresses and skirts and costumes essential to your Flamenco shows and to studying Flamenco dance. If you are a teacher of flamenco or a seller of Flamenco Dresses Skirts and Costumes, do not miss the exceptional offers reserved for you. Register and request the activation of the account, in just a few minutes you will have access to all fantastic world of Altrovedanza.